We partner with the best in the trade and homeowners to help bring their kitchen, bath and outdoor dreams to life. Only at PIRCH can you experience the world's most admired appliance, decorative plumbing and outdoor brands, alive and performing like they will in home. We are a source of inspiration for the homeowner; a curated resource for choice, selection, and knowledge for the designer/architect and a complete solution for all appliances and bath for the builder. All in one amazing showroom. 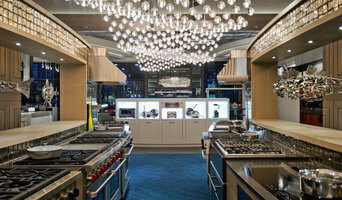 PIRCH carefully curates and presents only leading brands for indoor- and outdoor kitchens and bath. We are elevating the way you specify, purchase and install kitchen, bath and outdoor for projects ranging from custom homes, complex remodels, single room renovations to large-scale, multi-unit developments. PIRCH brings these brands to life in experiential showrooms allowing guests to try before they buy so they can make informed decisions. The result is a “one-stop-shop” where guests can focus on how they live, rather than what they want to buy. PIRCH is one of Forbes most promising companies (2015) and one of Fast Company most innovative ones in retail (2016). PIRCH was rated as the fastest growing appliance retailer for two consecutive years (2016, 2017) and the leading player in the high-end and luxury appliances market (2017). Brands we sell: Sub Zero Wolf, Asko, Miele, Thermador, Bosch, Gaggenau, Kitchenaid, Whirlpool, Maytag, Jenn-Air, Viking, U-line, Lynx, Lynx Sedona, Kalamazoo, LG, Perlick, Samsung, Monogram, Electrolux, Electrolux Icon, Bertazzoni, Evo, Kohler, California Faucets, Rohl, Toto, Waterstone, Mr. Steam, Graff, Hydro Systems, Aquabrass, Bain Ultra, Blanco, Duravit, Victoria & Albert, Robern, Gessi, Hansgrohe, Dornbracht, Watermark, Phylrich, Waterworks, and Icera. B&B Appliance has proudly served San Diego's North County since 1968. We take great pride in separating ourselves from our "Big Box" competitors through providing a superb buying and service experience; all the while, utilizing the billion dollar buying power of BrandSource (the nation's largest independent buying group). 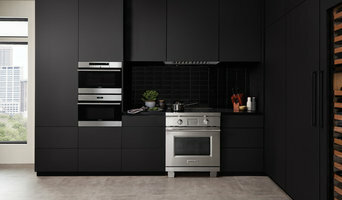 At B&B Appliance, customers are greeted and assisted by appliance specialists with unmatched product knowledge. Our team is prepared to help you every step of the way, whether you are replacing a single appliance that has broken down, or if you're in the process of remodeling and need a friendly specialist to help navigate a complicated project. We will work with you to find a product that fits your needs, budget and lifestyle. Furthermore, our delivery and installation specialists will assure that your new appliances arrive safely and are installed properly. Our technicians frequently report to the sales team, providing insight that the folks at the "Big Box" do not have. The same technicians function as a support team for each appliance that we sell. We do not send third party servicers, nor a separate division of our company. 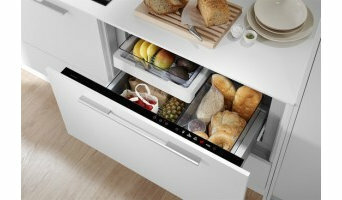 With B&B Appliance, the customer knows exactly who they are dealing with and who is entering their home. Being a staple in our Escondido community, it is our pleasure to frequently support many local causes and efforts. With great joy, we partner with our neighbors that share a deep commitment to our surrounding community. B&B Appliance has been a long time supporters of Young Life and the athletics departments at each of our 3 local high schools. Moreover, we look forward to donating the use of our delivery vehicles to transport food and supplies from a local church to Interfaith Community Services each spring. We look forward to building a relationship with you and your contacts. Your California appliance professional might handle any or all of the following jobs: selling, installing, repairing and upgrading both small and large appliances. He or she can advise you on the right equipment for your Newport Beach, CA home, from features to finishes, and is usually in the know about the latest technological advances and bells and whistles. When appliances hit a snag or start to show their age, a pro can advise you whether to repair or replace them, then carry out his or her recommendation. Some appliance professionals work closely with Newport Beach, CA builders, remodeling contractors, and kitchen and bath designers, among others. Here are some related professionals and vendors to complement the work of appliances: Kitchen & Bath Fixtures, Kitchen & Bath Designers, Kitchen & Bath Remodelers, Specialty Contractors, General Contractors. Find an appliance professional on Houzz. 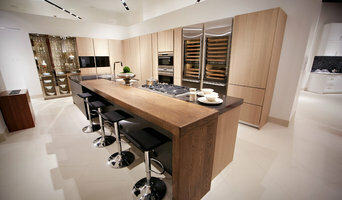 Narrow your search in the Professionals section of the website to Newport Beach, CA appliances. You can also look through Newport Beach, CA photos to find examples of rooms with appliances you like, then contact the professional who worked on them.